The Walt Disney Company, at its Investor Day event, presented an extensive overview of its comprehensive direct-to-consumer strategy at the company's studio lot on April 11. This included presentations on Hulu, Hotstar, ESPN+, and the upcoming Disney+ service. The event featured remarks from The Walt Disney Company's senior management team including Robert A. Iger, chairman and CEO; Kevin Mayer, chairman, Direct-to-Consumer and International; Christine McCarthy, senior executive VP and CFO; Lowell Singer, senior VP, Investor Relations; and Jimmy Pitaro, president, ESPN and co-chair, Disney Media Networks. Presentations by Michael Paull, president, Disney Streaming Services; Randy Freer, CEO, Hulu; Russell Wolff, executive VP and GM, ESPN+; Uday Shankar, president, The Walt Disney Company Asia Pacific and chairman, Star and Disney India; Ricky Strauss, president, Content and Marketing, Disney+; and Agnes Chu, senior VP, Content, Disney+ were also part of the event. 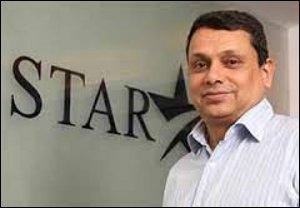 In his presentation, Uday Shankar mentioned that in one year on Star, the Indian Premier League saw a 50 per cent growth in revenue while the viewership went up by 30 per cent. 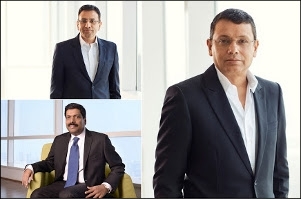 The official presentation on the company's website quotes Shankar as saying that India will have a billion screens by 2023 of which 750 million would be video-active smartphones while the remaining 250 million would be television screens. As per his presentation in 2018, India had 550 million screens - 200 million TV and 350 million smartphones. He also spoke about the reducing cost of wireless data and the increase in data usage. According to Shankar, the average Indian per capita data usage per month has gone up from 800 MB in 2015 to 9650 MB in 2018. He projected the average Indian hours of video content per person, per day, to go up from 2.5 hours in 2018 to 5 hours in 2023. He also stated that both advertising and consumer payments for video are growing in India. According to Shankar's estimates, video advertising (TV and Digital combined) and consumer payment (Pay TV) are also growing. He projected the advertising pie to grow at 21 per cent CAGR from $5 billion in 2018 to $14 billion in 2023 while the consumer payments pie would grow at 12 per cent CAGR from $7 billion to $12 billion in the same period. That means the overall advertising and consumer payment for video would grow from $12 billion to $26 billion in this span. 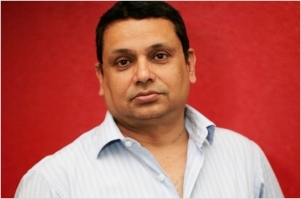 Summarising Star India's position in the media and entertainment space, Shankar presented that Star commands 30 per cent share of television advertising, 30 per cent share of digital advertising and 40 per cent market share when it comes to TV affiliate. During the event, Disney unveiled a first look at the Disney+ offering that will launch in the US on November 12, 2019, at $6.99 per month. The service will offer fans of all ages a new way to experience the unparalleled content from the company's iconic entertainment brands including Disney, Pixar, Marvel, Star Wars, and National Geographic available on connected TV and mobile devices. "Disney+ marks a bold step forward in an exciting new era for our company - one in which consumers will have a direct connection to the incredible array of creative content that is The Walt Disney Company's hallmark. We are confident that the combination of our unrivalled storytelling, beloved brands, iconic franchises, and cutting-edge technology will make Disney+ a standout in the marketplace, and deliver significant value for consumers and shareholders alike," said Bob Iger. The Investor Day event also featured presentations by several of the creative executives behind Disney+'s content slate. They announced that in addition to its robust library of theatrical and television content, in its first year, Disney+ will release more than 25 original series and 10 original films, documentaries and specials by some of the industry's most prolific and creative storytellers. These titles will join previously announced scripted originals including "The Mandalorian," the world's first scripted live-action Star Wars series, the exclusive new season of "Star Wars: The Clone Wars," "High School Musical: The Musical: The Series," the untitled Cassian Andor series starring Diego Luna and Alan Tudyk, the Marvel Studios series "Loki" starring Tom Hiddleston, "Monsters at Work," "Diary of a Female President," and live-action films "Lady and the Tramp," "Noelle," "Togo," Timmy Failure" and "Stargirl." Nonfiction series also announced earlier this week include "Be Our Chef," "Cinema Relics: Iconic Art of the Movies (wt)," "Earthkeepers (wt)," "Encore!," the untitled Walt Disney Imagineering documentary series, "Marvel's 616," "Marvel's Hero Project," "(Re)Connect," "Rogue Trip," and "Shop Class (wt)." Additionally, Disney+ announced that all 30 seasons of "The Simpsons" will be available on the service on day one. In year one, audiences will also have access to family-friendly Fox titles like "The Sound of Music," "The Princess Bride," and "Malcolm in the Middle." This content will join an impressive collection of more than 7,500 television episodes and 500 films including blockbuster hits from 2019 and beyond. "We're extremely excited about our growing portfolio of direct-to-consumer offerings, as we demonstrated today. With Disney+ we will deliver extraordinary entertainment in innovative ways to audiences around the world," said Mayer, adding, "We'll continue to enhance the user experience with a constant pipeline of high-quality programming, making the service even more appealing to consumers." Designed to super-serve the most ardent fans, Disney+ will provide subscribers with a feature-rich product experience that makes it easy to navigate, discover and watch their favourite programming with immersive brand tiles and dedicated pages for Disney, Pixar, Marvel, Star Wars, and National Geographic. Subscribers will have the ability to create custom profiles with each receiving personalised experiences curated to their unique tastes based on past behaviours and preferred content. The Disney+ service will be available on a wide range of mobile and connected TV devices including gaming consoles, streaming media players and smart TVs and will adjust to the best possible high definition viewing experience based on a subscriber's available bandwidth with support for up to 4K HDR video playback. Fans will also have access to an unprecedented amount of content for offline viewing. The official statement from the company said that following its US debut, Disney+ will rapidly expand globally, with plans to be in nearly all major regions of the world within the next two years.